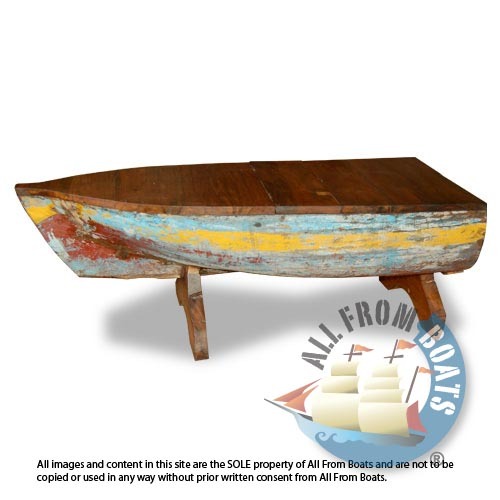 Part of a small fisher boat converted into a boat coffee table with a wooden top,made from reclaimed boat timber. recycled, reclaimed boatwood furniture. shellac finishing.